How should I care for my guinea pig? Why does the RSPCA support humane food? What are your animal welfare resolutions for 2018? Should I dress my pet up in festive gear? Why is now a good time to get a pet? RSPCA joint message to egg industry: time to focus on animal welfare and a sustainable future. Don’t get sprung by spring – protect your pets! June is Workplace Giving Month! 5 reasons to join the fun at RSPCA's Million Paws Walk! The result of our poll on whips in racing, and why it’s such big news. Australians don’t want battery cages – just the egg industry does. Are jockeys whipping their horses for “safety reasons”? Why battery cages are cruel. Summertime means holidays for many Australians – that time of year when we set off for the beach, interstate to spend time with friends and family, or just take to the road to have a break from the daily grind and make most of the good weather. But no holiday can be truly relaxing unless you’ve taken care of the needs of your pet – whether they’re travelling with you or staying behind. 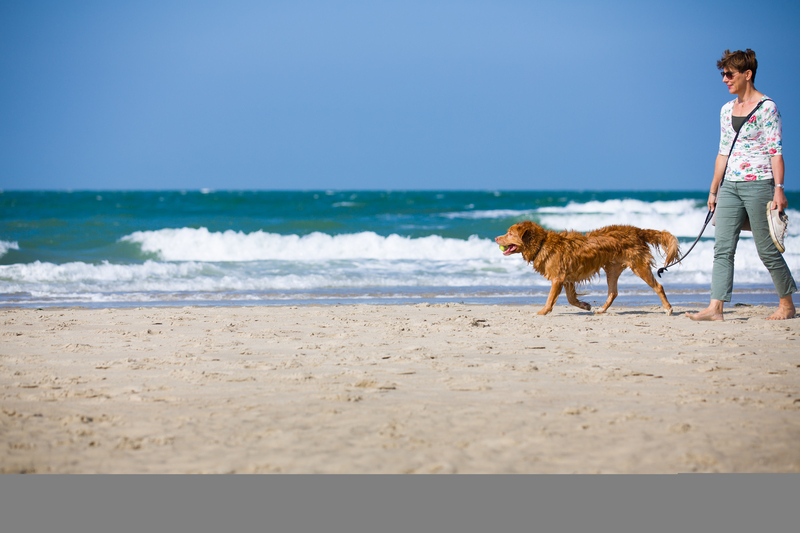 The RSPCA has put together a list of the key things to consider when holidaying with pets. Should they stay, or should they go? If you have a cat, the answer is they should stay – cats can become easily stressed by changes to their routine, and are not suited to travelling with their family. Your feline friend will be much happier at home, or if needed, at a suitable boarding facility. If they’re staying at home, make sure someone can visit once or twice a day to feet your cat, change their litter tray and give them a little TLC. If you’re travelling without your pet, and want to put them into a good boarding facility while you’re away, there are a few key things to look for. Make sure to visit the facility in person before booking in and check that you’re happy with the space provided for your pet, the daily processes they have for feeding, exercise, grooming and play time. It’s also important to make sure the facility has a vet contact in the area who can be relied on if any medical issues arise. Regardless of whether your dog is travelling with you or staying at home, make sure they are microchipped and their details are up to date. The same goes for your cat – the last thing you want is for your pet to become lost while you’re away, or in a strange environment while you’re travelling, without them being easily traced back to you. An ID tag with your details on it is also a good idea for their collar. If your pooch is a fan of car travel and you’ve found pet-friendly accommodation, you can start prepping for your road trip. The most important this is to make sure your dog is familiar with car travel. Pack enough of your pet’s regular food for the trip, and have plenty of water with you to keep them hydrated through the drive. Don’t forget a vehicle restraint as well, so you can keep your pet secure in the car. You’ll need their collar, harness and a bed or travel crate for them to sleep in at your destination, as well as any favourite toys, a pooper scooper and plastic bags to clean up after them. Take plenty of toilet/exercise breaks, and keep your dog on the lead to avoid them becoming a bit too excited. Most importantly, never leave your dog alone in the car – even on a mild day, dogs can suffer from heat stress which can cause organ failure and even death. Once you’re prepared, you can relax and enjoy a trip with your pet that will hopefully create plenty of lasting memories.